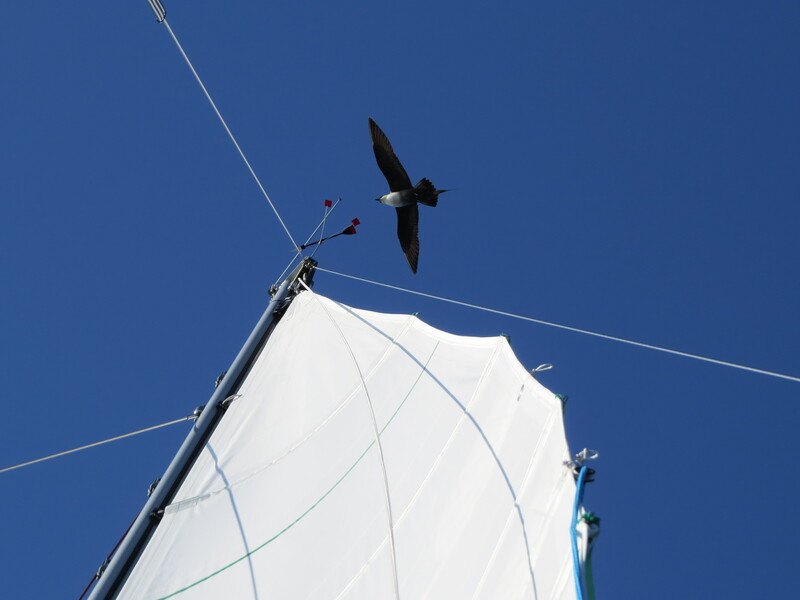 As part of the Sail the Odyssey science program, during our 2014 summer voyage to Greenland and the Canadian High Arctic with the Blue Planet Odyssey, we tried to photograph as many birds as possible. 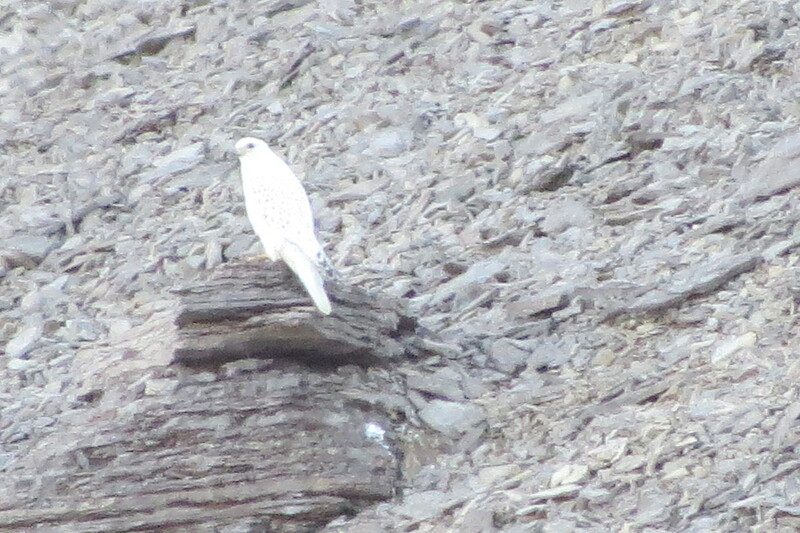 Gyrfalcon on Beechey Island. This species had not been reported from that area since a historical report back in 1999. Once back home, I submitted the best to Diana Doyle from SeaBC Sea Bird Count, along with records of where we had seen the birds. At sea, I generally just took a photograph of the electronic chart plotter after each observation. Diana then got to work confirming identifications, and you can read her letter below for more on what she did with the data. 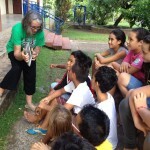 Diana’s assistance was invaluable, as I know very little about seabirds! I can’t tell you what an outstanding job you did photographing all those birds! I know how hard it is to photograph birds on a cruising boat — much less when you’re bulky with extra clothing and cold hands!! The system worked phenomenally well. I simply “replayed” the photos, in order of time-date stamp, to then log them by location and date into Cornell’s eBird database. 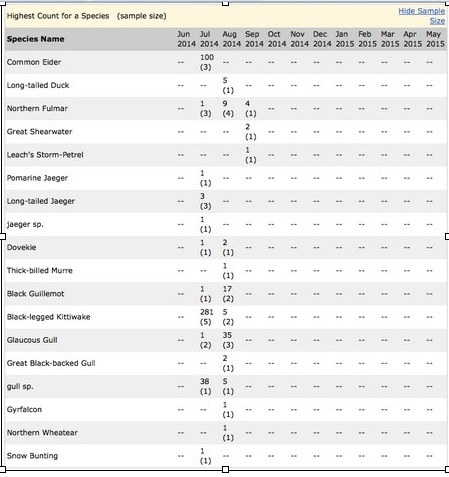 I did a final summary using eBird of all the species and counts you saw (see below). To this list I’m pretty sure you can add Iceland Gull. Iceland Gulls and Glaucous Gulls are very similar, mostly differing by size, so I could never confirm a specific instance of Iceland Gull, but I’m pretty sure that of all those “white-winged” gulls at least one of them was this species also. You might think, “17 species, that’s ALL? ?” But for the Arctic, that’s a good number. 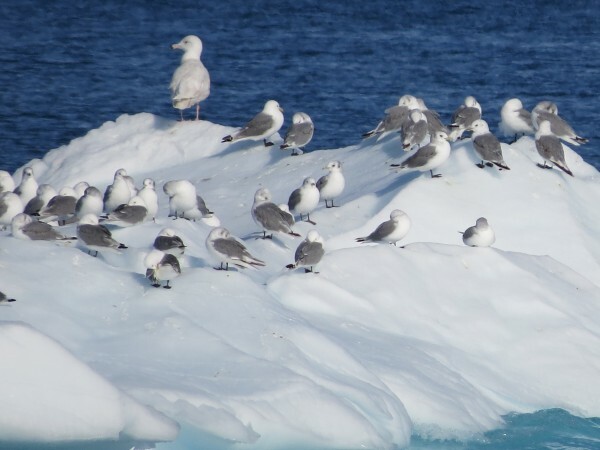 As you probably noticed, there aren’t many species uniquely suited to breed in the High Arctic! Some of the species you saw were captured in only a single sighting, so that was great that you nailed them with a photo: Pomarine Jaeger (your shot of the chunky, bulky jaeger species), Leach’s Storm-Petrel (the blurred small seabird! ), the Long-tailed Duck flock (the ones with the white spectacles), the Thick-billed Murre (aptly named), and so on. So thanks again! Now that I’ve completed entering all your data (180-ish photos!) it’s a little sad to have this vicarious trip end! Diana is one of the Founders of the “SeaBC” Sea Bird Count and has been leading on the Sail the Odyssey seabird observations. You can read more here and visit www.birdingaboard.org to download more resources. 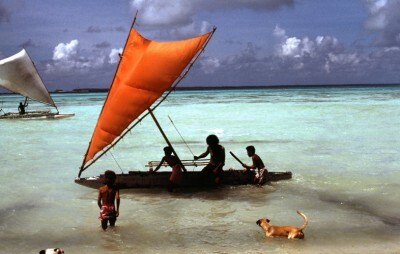 Anyone can get involved, and the more data that is collected and submitted by sailors, anywhere in the world, the better.